BlogHome » Blog » If Grit is the Answer, You’ve Got Problems! In a previous post, I wrote about “satisficing”—putting in just the right amount of effort. Whether you’re hearing, “These employees simply need to do more with less” or “We need to teach students to have grit”, the implication is that people need to try harder. Last fall I listened to Haruki Mirikami’s book What I Talk About When I Talk About Running. This celebrated Japanese novelist runs about an hour a day, wherever he is in the world, and has completed numerous marathons, ultra-marathons, triathlons—you get the picture. As I listened, I thought, Maybe I have a “fixed” mindset toward running. What if I’m wrong? What if my aging joints really can handle more than 10 miles a week? The next week, as I tied my shoes I concentrated on having what Dr. Carol Dweck of Stanford calls a “growth” mindset—the belief that ability isn’t fixed and that in fact effort creates ability. I ran 25 miles that week without any problems. Effort creates ability, right? I just needed more “grit” to go to the next level as a runner! Now go run a marathon, right? Wrong. Really, really wrong. GRIT is not a solution. It’s so easy to see this in physical effort. 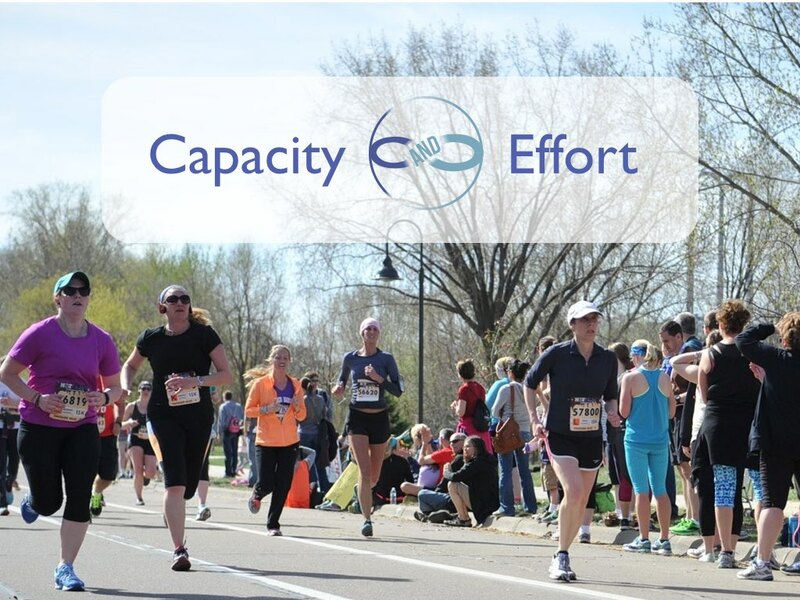 For a marathon, runners need to carefully build capacity, not just try harder. Capacity AND Grit, or effort, form a Polarity—They are an interdependent pair of values that are incomplete without the other. Instead of problem-solution thinking we need the both/and power of seeing capacity AND effort as intertwined. What are your capacity factors? Time? Personnel? Technology? Customer size and resources? Employee loyalty? CEO turnover? Ignore them by only asking for effort and you’ll get burn-out, failure when the going really is too tough, all-out pursuit of the wrong goals, valuing results over the people producing the results, and more. Curiosity/interest in learning goals AND the intrinsic motivation to persevere. Either side without the other results in failure. Building student capacity without helping them learn to persevere leaves them dependent on external motivation and support. Insisting on effort when students don’t have the tools they need to learn results in failure as well. Next time we’ll look at how you “leverage” doing more with less with the very-real opportunities and limits of capacity. previous post: Grit: Too Little, Too Much, or Just Right?